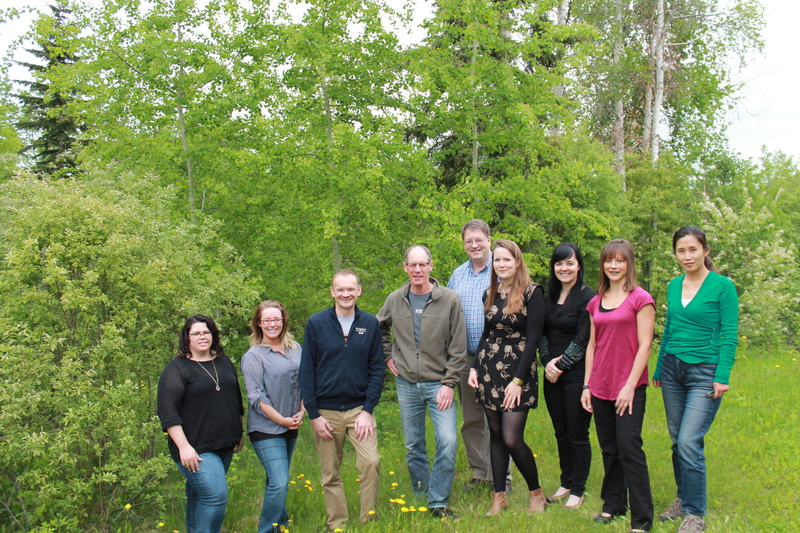 In the summer of 2014 the CIP team was joined by representatives from the UK-based Plunkett Foundation to visit the communities of La Ronge and Stanley Mission in northern Saskatchewan. The team had the pleasure of two days of co-operative development training and dining with representatives from the La Ronge grocery co-operative, Lac La Ronge Indian Band, Amachewespemawin grocery co-operative (Stanley Mission) and Connexus Credit Union. The team was treated to an amazing tour of the Amachewespemawin Co-op grocery store and gas bar – and some of the team even got to experience their first try at Chester Fried Chicken! The CIP Team. From left to right: Dazawray Landrie-Parker, Nicole McLaren, Peter Couchman, Murray Fulton, Ken Coates, Hannah Barrett, Dionne Pohler, Dawn Brinkmeier, Wu Haotao. Missing: Audra Kreuger (behind the camera). Eva (GM) and The CIP Team. From left to right: Peter Couchman, Eva McKenzie, Wu Haotao, Nicole McLaren, Dazawray Parker, Murray Fulton, Dawn Brinkmeier, Dionne Pohler, Hannah Barrett. Missing: Bob Walker (behind the camera). 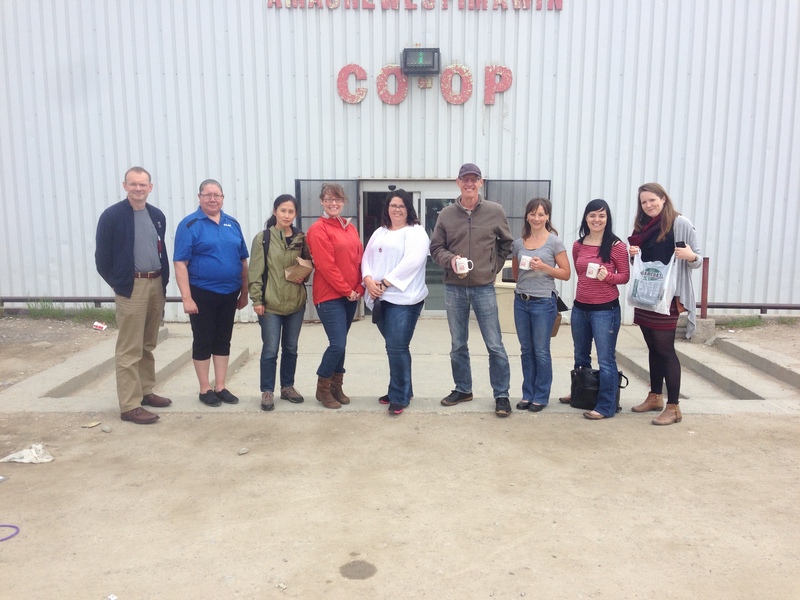 Tags: co-operatives, Saskatchewan | Permalink.